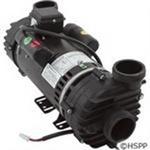 The Cal Spa Dually Pumps shown below were manufactured by Power Right Industries. They can be identifed by the "Ribbed" style face covers. 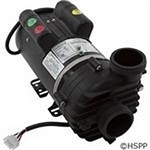 If your Dually pump has a "smooth" face then it was manufactured by Vico/Balboa Water Group.